When you walk into your college dorm room the first time, you will notice how dark it is. 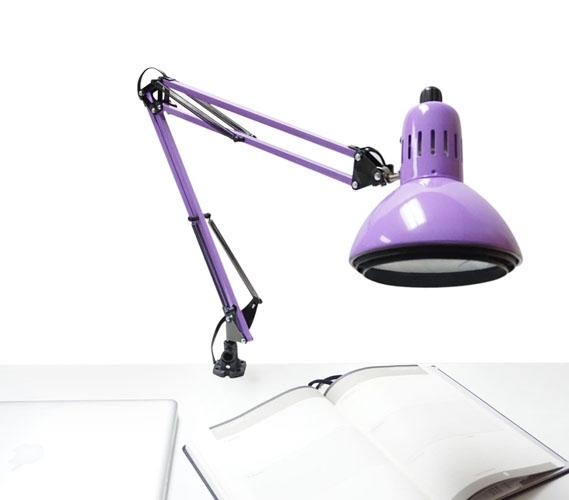 Sure there's an overhead light, but it may not do much for the lighting in your dorm room. You simply cannot get through your college year without extra dorm lighting. There may be times that your roommate wants to sleep and you still have to study. Or maybe you're just not tired yet and you want to read a book or do your homework. When your roommate is sleeping, you can't have the dorm overhead light on. This is where the extra dorm lighting you added to your college dorm room will come in handy. 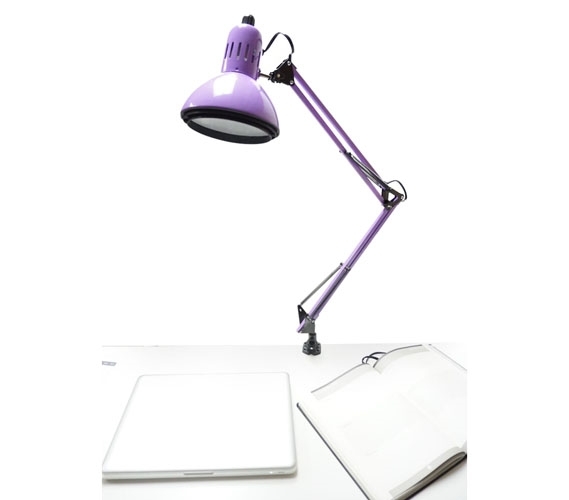 Our Adjusting College Clip Lamp in Purple is a dorm space saving college supply that is essential for studying. 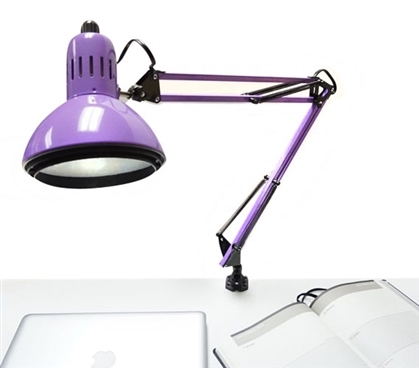 When your roommate is sleeping and your still awake, this dorm lamp will allow you to do your college homework without waking them up. Plus it does not take up much space on your dorm desk. In fact, it takes up no space at all because it clips to the ledge of your desk! Your dorm desk is going to be filled with a lot of college supplies as it is and you will also need room to study. 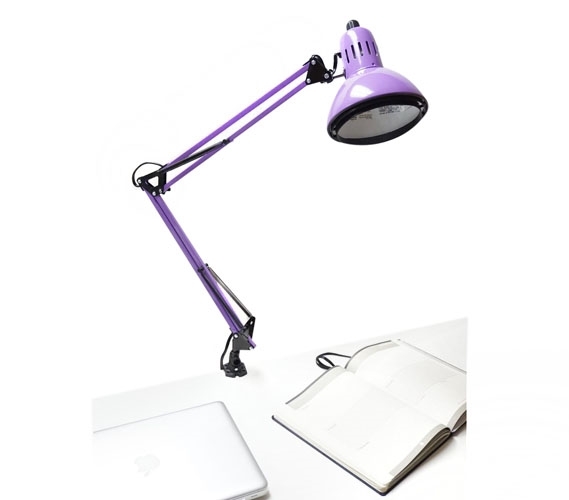 You need compact dorm items that are functional without taking up space, and our Adjusting College Clip Lamp is a perfect compact, functional dorm item. 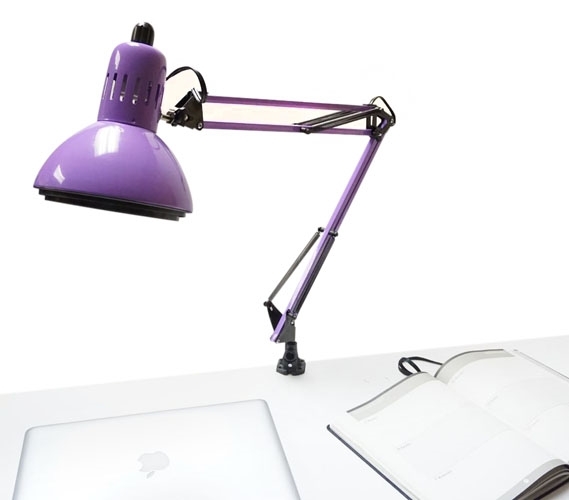 Our Adjusting College Clip Lamp in Purple also has an adjusting head and neck so you can easily focus the light exactly where you need it instead of squinting at a partially lit page in your college textbook!